Want to learn how use volume to your advantage in trading? Confused by the many volume analytical theories and indicators out there? You’re not alone. Although volume is a significant topic of technical analysis, the typical approach towards it has been piecemeal. Here, you’ll find a roadmap to learn how to trade with volume. This guide is designed to point you to the best resources where you can gain a solid understanding of a variety of volume trading topics. To compile this guide, I’ve manually reviewed more than a hundred web pages. From the tons of resources out there, I’ve handpicked the most useful articles to advance your volume trading skills. If you’re thinking of scouring the Internet to learn volume trading, you can now save your time and start studying immediately with the resources below. Volume is the total quantity of shares or contracts traded for a specified security. It can be measured on any type of security traded during a trading day. It is measured on stocks, bonds, options contracts, futures contracts and all types of commodities. Read a detailed breakdown of this definition here. While volume is a universal concept in financial markets, there are slight nuances that might confuse you. So it’s better to get a firm grasp of these ideas before proceeding. What Is Volume In FX Trading – Discusses the impact of decentralized FX trading with in-depth examples. Take a couple of minutes to revisit the Dow Theory – a dominant technical analysis theory. Appreciating the role of volume within the Dow Theory will help you understand its value. Dow Theory: The Role of Volume – This link brings you to a section explaining the role of volume within the Dow Theory framework. If you are unfamiliar with the theory, you can go through the entire article. Dow Theory: Volume Must Confirm Trend – A short explanation on what volume behavior you should expect within a trending market. This section expands the Dow Theory premise into practical guidelines and examples. Here, you’ll find links to tutorials showing you how to interpret volume together with price action. It’s vital that you master the concepts in this section before moving on to other tools like volume indicators and chart types. As you go through the following tutorials, pay close attention to the chart examples. Using Trading Volume To Help Determine Entry and Exit Points – Start with this concise guide. It contains sharp illustrations that will help you digest the real market examples in the other tutorials below. Analyzing Trading Volume: The Ultimate Guide – Detailed examples of volume analysis. 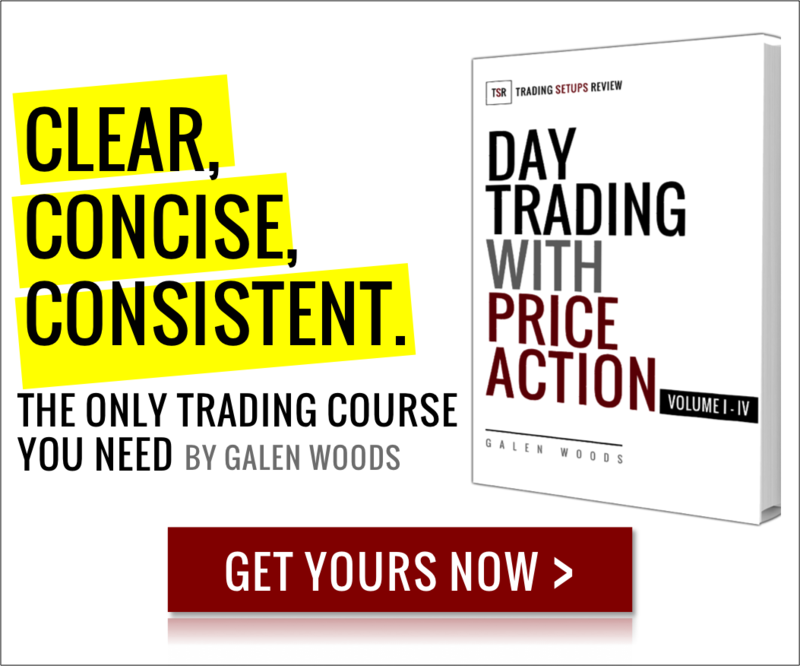 4 Simple Volume Trading Strategies – Unlike the earlier articles, this one contains intraday volume trading examples. Test Your Knowledge, Volume Interpretation – Review what you’ve learned with this quiz. Having trouble with the questions? Don’t worry; it points you to extra resources to help you brush up your volume trading knowledge. Hungry for more? Here are volume trading strategies that make use of the analytical guidelines covered above. Low Volume Pullback Trading Strategy – Pinpoints weak, low volume pullbacks in trending markets. Profit From Stock Volume Analysis – This article focuses primarily on making use of volume spikes. There’s also a video version embedded below. Anchor Zones Trading Strategy – This strategy from L.A. Little identifies price zones that anchor the market with volume. As you try to analyze volume on your charts, you’ll start to get conflicting signals. Yes, volume analysis can get confusing and complicated. At this point, you can seek clarification with these established frameworks. VSA is one of the most popular frameworks for volume analysis. Its core idea is to analyze volume with the help of the spread of a price bar (high-to-low range). Your First Guide To Volume Spread Analysis – Introduces two basic VSA concepts: No Demand and No Selling Pressure. What Is Stopping Volume In Volume Spread Analysis – Stopping volume is an exhaustion move defined clearly within the VSA framework. Volume Profile is the result of slicing the price/volume data differently. Instead of focusing on how much volume traded within a period, Volume Profile highlights the volume traded within each price zone. The purpose is to find significant support and resistance zones. Volume By Price – Volume Profile is also known as Volume By Price. In fact, Volume By Price is a more descriptive term for this approach. With detailed calculations, this article from StockCharts offers a solid explanation for traders new to Volume Profile. Day Trading Without Charts: Volume Profile In Action – TraderPlanet’s article is less technical, but it dives deeper into the psychology behind why Volume Profile works. Market Profile is a stricter version of Volume Profile. Like Volume Profile, it focuses on the distribution of volume by price. But it is an intraday trading method with more assumptions regarding market behavior. The Ultimate Guide To Market Profile – An excellent introductory article to Market Profile from EminiMind. There are fewer quality resources on Market Profile online so you will need to refer to the following books for in-depth knowledge. Steidlmayer on Markets: Trading with Market Profile – Steidlmayer is the inventor of Market Profile. It’s always better to get familiar with raw price and volume analysis before learning about indicators. Now that you’ve explored the volume trading frameworks above, here are three volume indicators that you should know. The MFI is a volume-weighted RSI. Essentially, it combines price and volume into a momentum study to judge the current buying and selling pressure. The OBV is a cumulative volume indicator. It is unique as its values do not matter. Instead, you should focus on the trend of the OBV indicator. Monitoring the Smart Money by Using On-Balance Volume – Great in-depth journal piece on OBV by Wayne A. Thorp, CFA. On Balance Volume Trading Strategy For Fading Dumb Money – Use a long-term moving average of OBV to find divergences with price action. If volume is the fuel of the market, it makes sense to use it to adjust common indicators like the moving average. And the VWMA is the result of doing just that. VWMA: A Simple Tool – Explains the simple formula of VWMA and compares it to an SMA for greater insights. Breakout Trading Strategy Used By Professional Traders – A breakout strategy that uses the VWMA to guide its profit-taking. 4 Simple Ways to Trade with the Volume Weighted Moving Average (VWMA) – Showcases the versatility of this volume tool. Since volume data is crucial for price analysis, why not bring it to the foreground by building charts with it? Constant volume charts plot price bars based on volume. It ignores the factor of time entirely. Trading Charts Without Time – Covers four non-time price charts including constant volume charts. EquiVolume charts plot high-low bars with varying widths that reflect the volume traded. It offers a unique visual for integrating price with volume analysis. EquiVolume [StockCharts] – A primer. Analyzing Volume & Price Ranges Using Equivolume Charting – In-depth discussion. What are the main disadvantages of using an Equivolume Chart? – Get a balanced view of Equivolume charts. Volume is not just helpful for market analysis. It is also of great value when it comes to market selection. The market volume reflects market interest and is related to its liquidity, volatility, and trending potential. Price Momentum And Trading Volume [PDF] – An academic study that found a correlation between volume and momentum. Unusual Volume for NASDAQ Stocks – Stock screeners, like this one from NASDAQ, are helpful for uncovering potential day trading candidates. Volume is not just useful for choosing which market to trade. It’s also of great value for determining when to trade them. The intraday volume pattern shows the active period of each session. With this information, you can choose the best periods to trade. Intraday Trading Volume Patterns Of Equity Markets: A Study Of US And European Stock Markets – Note the different intraday patterns between U.S. and European markets. Liquidity is critical for traders, and volume is a good proxy for liquidity. Does Trading Volume Affect Stock Price? Best Futures For Day Trading – In this article, I used a combination of various factors including traded volume to rank the trading potential of different futures contracts. The free resources above are enough for a robust understanding of volume analysis. For more recommendations, visit this review on Top 10 Volume Trading Books. And if you prefer video courses, check out this Udemy course – The Basics Of Volume Analysis . Any suggestions to help us improve this learning guide? Please let us know here!